Canon has announced a new camera, lens and monitors with advanced features, the premium choice for professionals. The flagship, full-frame Cinema EOS C700 FF Camera features a newly developed, next generation Canon full frame 38.1mm x 20.1mm CMOS sensor. The camera can record up to 5.9K, delivering ultimate creative freedom and quality. The dual pixel CMOS Autofocus is ideal for full-frame format shooting, users can lock onto and track a moving subject to provide accurate and reliable footage. The camera comes compatible with Canon’s extensive range of EF series and Cinema lenses. Multi-format recording allows users to record in ProRes, XF-AVC or Canons Cinema RAW formats and capture footage in 5.9K, 4K or 2K. The CN-E20mm T1.5 L F wide-angle lens is perfect for high-quality cinematic productions, according to Canon. The lens enables the straightforward capture of 4K images and enhances the current Cine Prime lens range. Perfect for nature documentaries, the CN-E20mm T1.5 L F captures 4K footage in low light and allows you to produce natural blur effects, enabling a three-dimensional bokeh effect with a deeper depth of field. With a large diameter aspheric lens and low dispersion glass, the lens takes clear images every time. An expansion of Canon’s industry-leading range of 4K reference monitors, these monitors are both 12G-SDI capable, and include an extensive firmware update. Both monitors have HDR image check and production support including a HDR capable waveform monitor, HDR capable false colour function and HDR Range Adjustment function. There are four 12G-SDI inputs on each monitor, which can deliver 4K 50P transmission through a single cable, meaning users can reduce installation complexity and save on studio space. With the addition of an HDR brightness monitoring function, the displays can show luminance value on a selected part of the screen, allowing users to confirm a detailed luminance value and change during HDR production. The update will also allow you to control the screen from a PC. The DP-V2421 monitor has a 24-inch 4K HDR reference display which achieves over 1,200 cd/m2 high luminance and deep black, making it suitable for versatile applications. The monitor supports XYZ, RGB, YCbCr and ICtCp formats. The DP-V171 has a 17-inch 4K UHD professional display, designed for studio monitoring or outside broadcast vans. It is robust and compact for high mobility. 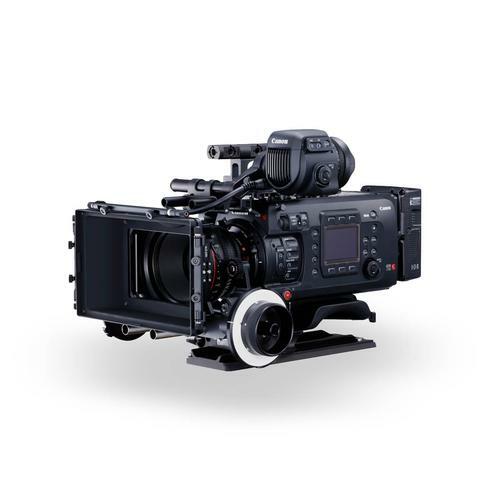 The C700 FF Camera will be available from July 2018. The CN-E20mm T1.5 L F lens will be available from June 2019 and the DP-V2421 and DP-V171 monitors will be available from June 2018.